I prepared a long blog post yesterday describing how my 3rd Irish driving test went and how surreal it was, but you know what? I’m no longer wasting my time talking about this bizarre situation or moaning about driving test reports as they are completely subjective and I never had my errors explained. Is it not time to give motorists a fair chance and video the driving test? There is no mechanism for a fair appeal. Instructors in my experience are not on the same page as the testers. This is where the major disparity lies. The tester is human, the instructor is human, the test candidate is human, the weather, the traffic, there are too many variables to consider. The cost of the test has risen dramatically. Test candidates deserve more for their money than to be told the pass rate is lower or higher in a particular area. It should also be noted there is no follow up test. Quite often the test is passed and the driver reverts to bad habits they cleaned up for the test. Repeat tests for drivers, instructors and testers is a must. A standard needs to be achieved. A few lucky people pass the driving test in Dublin on their first attempt, although most get their full licence after trying several times. 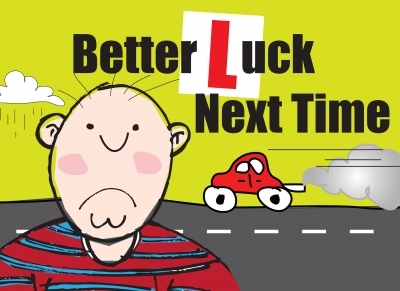 I heard about an American retired policeman who moved to Ireland and only passed his driving test after 8 attempts. What bothers me is: 8 X €75 = €600. And Yes! It’s time to film the driving test. I deserve more for the €225 (3 X €75) I spent so far and not only 45 minutes of assessment, using my own car and my petrol and a lousy explanation of the results without follow up.